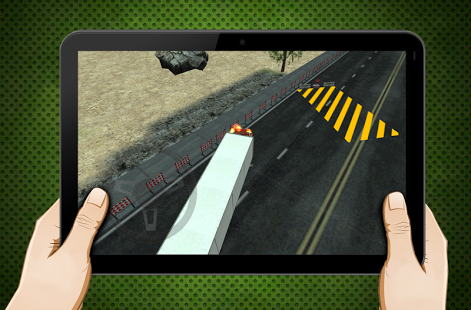 18 wheeler driving academy 3D is one of the best free 3D parking games on android. parking a 18 Wheeler requires a huge amount of skill and precision! most truck drivers cannot cope with the amount off skill needed. as a 18 wheeler truck driver your aim is to park the truck into the marked spaces with as little amount of crashes. see for yourself if you can complete all the levels and if you are the most skilled 18-wheeler truck driver on the world. sometimes you need to put the 18 Wheeler in reverse to get in the marked position. 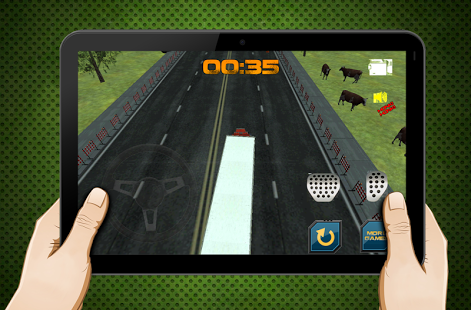 are you crazy about 3D parking games, and are you up for a challenge with a big rig 18-wheels truck. donât crash into anything! try to aim for the fastest time without no damage! once you damage your truck you need to start over because crashing your truck means game over! hit the asphalt with. each level brings you more and more challenges, with more and more increasing detailed and complicated parking situations. Test your driving ability! see if you can handle a real 18 wheeler. test your driving ability! 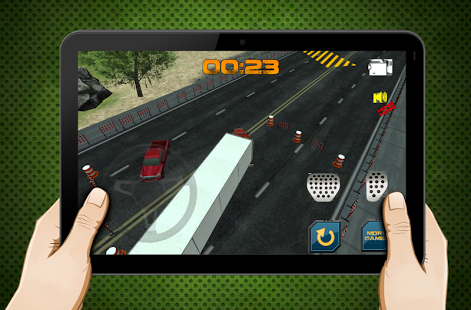 18 wheeler driving academy 3D is a new original 3D parking simulation game, get be hide the wheel of a big rig truck. Drive this big 18 wheeler truck through different 3D settings. Find out way to park your truck in the parking spot. we hope you will enjoy the 18 wheeler driving academy 3D driving and parking experience ! We hope you will enjoy this parking game and drive safely. Please give use some support by rating our game or by liking our Facebook page or follow us on twitter!.